Tis the season for boating! The peak boating season starts now through July and it’s important to have your watercraft properly insured. In fact, more motorcycles are insured than boats. But how is this possible? 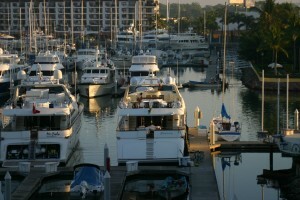 A lot of people don’t realize the importance in having insurance for boats. Boat benefits can range from no depreciation/deduction for betterment, disappearing deductibles in the event of claims, coverage for consequential damage, wreckage removal, mechanical breakdown, and more. A specialized boat policy also could cover things like the cost to replace lost or damaged fishing gear, as well as costly services such as emergency on-water towing and fuel-spill cleanup. Progressive offers all of these benefits and more including accident forgiveness, roadside assistance, and no surveys are required. Progressive currently insures over one million watercrafts offering a variety of boats to be insured, as well as a large range of coverages and special endorsements. If you already have a policy with Progressive and you’re interested in a boat policy, you are entitled to a multi policy discount which could be a huge savings. Imagine having your motor blow out on the water- what would you do? Call us now at 516-484-5200 for a quote, so you don’t have to worry about incidents like these.